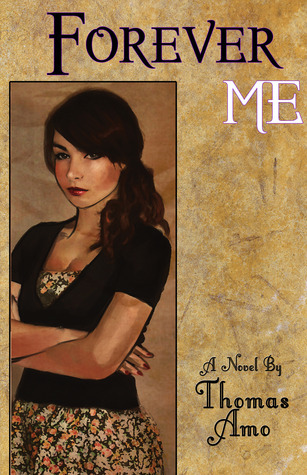 SYNOPSIS: Hannah Richards isn't your typical 16 year-old at Wichita Falls High. Fashions, trends, cosmetics and style are unimportant to her. An avid reader, guitar player, classic movie and television buff, Hannah marches to the beat of her own drum. Visible only to her Father the town Sheriff, and her two best friends. Hannah lives a simple, un-pampered life as an "Eastie." REVIEW: I have mixed emotions about this book. I enjoyed this book a great deal because of the thought and wit put into the dialogues but I wasn't able to grasp a few parts in the book. The downside however is that some parts felt a bit "jumpy." For example, in chapter 47, the characters are shown waking up or preparing for school at 5AM without so much as a smooth transition from character to character. If this was a movie, I think the beginning of chapter 47 would be a montage - and it would most definitely work. But if you use that in a book, you kind of lose momentum. I also liked the lines/dialogues. Not only were they witty and funny, they were also realistic. I could totally imagine hearing some of the lines or doing some of the things in it. I actually laughed several times while reading the book and felt the need to tell my siblings about it! "Can I at least shower and put my face on?" inquired Taylor. "Uh-yeah, I don't need the neighbors thinking I'm hanging with the help." Taylor held the phone away from her face and gave it the finger. Call me shallow but that is funny! One of the other things I was able to enjoy in the book was the protagonist herself. I absolutely love Hannah! She's so relatable because of her personal style and the way she speaks. I especially love her relationship with her dad. Their morning chitchat kept me smiling because I can totally imagine how they'd tease each other before going to school or to work. I also enjoyed reading about the Stilettos, and how pretentious they all are with their fashion and bullying. Even the minor characters felt alive because their personality's so real. Even though sometimes I felt like Lauren's and the Stilettos' bullying and Kyle's douchebaggery (I love that word) was a bit overkill (or not. Bullies are relentless - I should know), I think Thomas Amo did a great job at moulding the characters because they affected my emotions. I felt Dylan's frustration towards his mother, I felt as annoyed at Lauren just as Hannah was, and I got all riled up when Taylor was framed! I didn't really see the clear connection between the characters and the events, i.e. clique-wars & the murder mystery (me saying there's a murder mystery is not a spoiler) as well as everyone involved in it. While I enjoyed both parts of the story and I could see how certain things could cause what (UGH! This is so hard without spoilers! ), I had a hard time trying to really bring the two together. Thomas Amo has been writing since he was a boy. His dream was always to write for the movies, television, theatre. In the late 1990's he began a career as a full time theatrical producer and while running his own theatre company began writing plays for the stage. In 2000 his first novel was published. It would be another decade before he published again. In August of 2012 he finished epic YA novel, "Forever Me."